Until then I didn’t know I was the kinda girl to be excited -genuinely excited by something so domestic like a dish brush! But I did. And after a lot of soul searching it turns out I am! In my defence, I think you would be too. 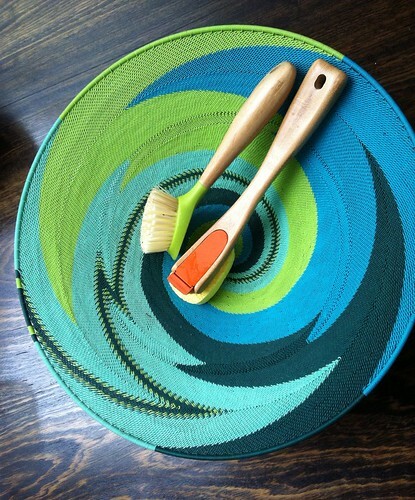 You see its not a plastic dish thingy – it’s bamboo & kinda pretty as far as dish thingys go! Maybe my love for this is more about the feel than the look. The bamboo handle feels so nice to hold & being a tactile lass, I just loves its feelin! Literally & figuratively (hmm…is that the right word?eh..) as it’s one of those feel good sustainable guilt free AND useful products! The handle is made from bamboo which is uber sustainable product as it grows at the speed of light -Fact* & finished with natural oils. Not toxic nasties. Oh & it also works pretty well at cleaning stuff. Fancy that – kinda pretty AND practical! 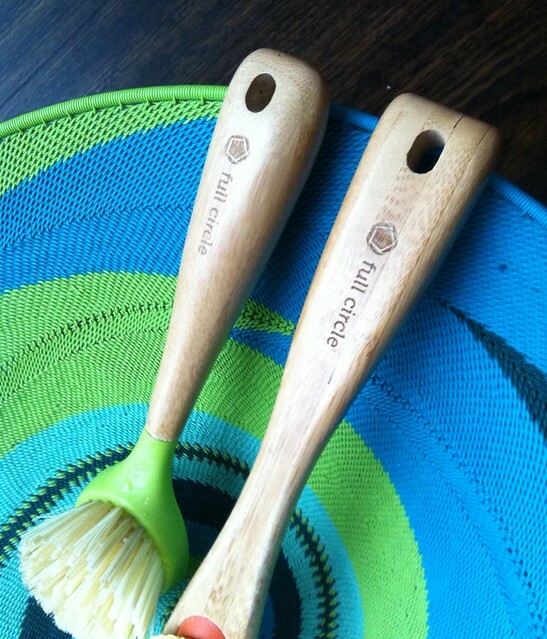 So my domestic goddess tip for you – spend the 7 ish bucks on a Full circle dish brush. When you have, get back to me & confirm your love of it- maybe we can form a club or something?! This is not a sponsored post. Bizarrely I do have a genuine love for these. *Bamboo does not grow at the speed of light. But if you thought it did – even for a second, then I don’t think you can join my club.